I believe I mentioned in my previous post that I was roped into hosting/anchoring a live talkshow here in Tacloban covering the Haiyan Candlelight Memorial. I found out on Wednesday I was doing it, and so had very little time to practice for the 5-hour long live event on Saturday! In spite of the nerves and jitters, we got there in the end, and it was actually really fun! During the rehearsals I had a large rat crawling across the beam in my eyeline, and I got somewhat frustrated by not having enough clear/straight answers to my questions. The producer was a lovely guy, but he has a tendency to sermonise everything and talk in riddles, which is not helpful when you have limited time… I would ask things like “What order will the interviews and reports be in? Can I have a schedule in advance so I know what’s happening before I actually go live on-air?” and he would talk for 30 mins about humanity’s finest hour…. That was very frustrating! He also kept misunderstanding my frustration as nerves, and when I asked him to tell me what I should and shouldn’t do (like sit up, speak loudly, don’t turn your head etc) he asked me if I knew the difference between speaking and talking. I said no, not really, cos they’re synonyms, and he started singing “The Sound of Silence” to me. It was excruciating. We are building up to the 1-year anniversary of Super-Typhoon Yolanda (also known as Haiyan), so all hands on deck, and a lot of activities going on, candlelight marches, memorial services, exhibitions, and so on. Everyone is busy putting together summaries of our work in the last year, numbers of beneficiaries reached and support given, and advocacy messages for the coming year. 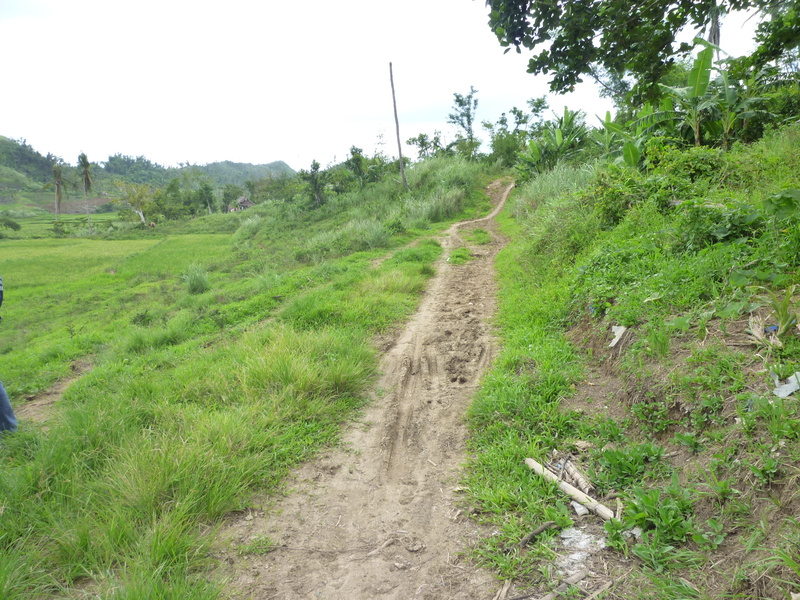 Some pics from my recent adventures clambering around through rice paddies, balancing on wobbly logs over streams filled with water buffalo, and driving along what can only loosely be called roads to reach some hard-to-access remote villages in upland Leyte-Leyte Municipality. *Started writing this about 2 weeks ago, but only just getting around to posting it…. 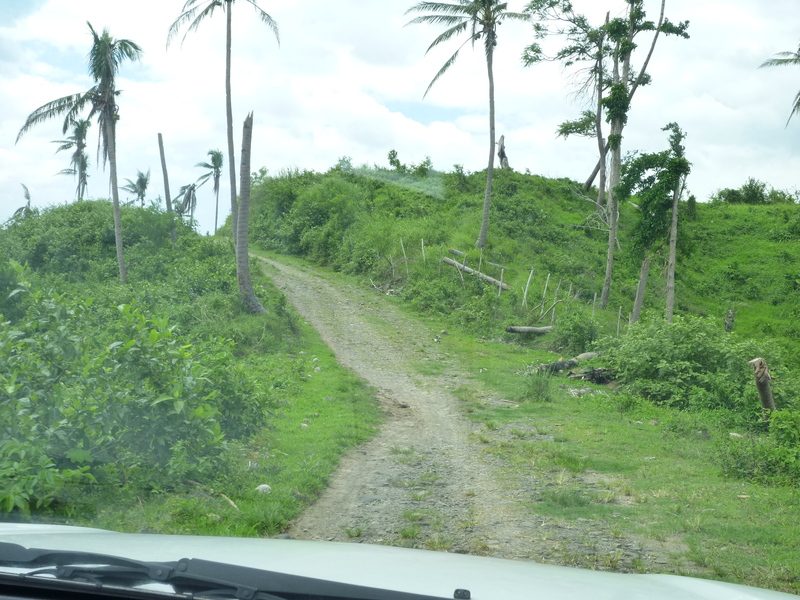 This week I went to visit a couple of very remote barangays (villages) in Leyte-Leyte. It’s an area that had high levels of poverty even before the typhoon hit, and people there have been living on very little for a really long time. 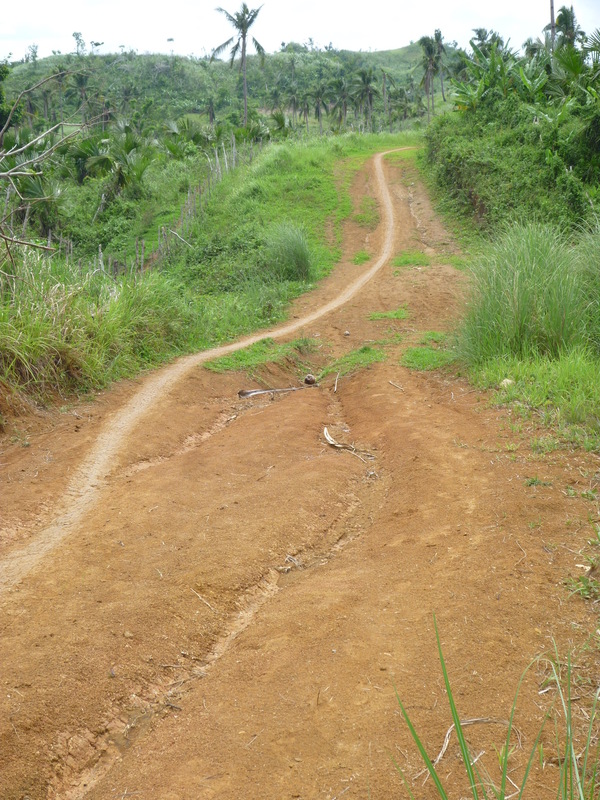 As they are so remote and hard to access that they haven’t received much aid/relief, and trucks can’t get up to them, so in order to get rice (aid/relief) supplies they have to walk about an hour to the nearest accessible village. So I’ve just come back from an intense 2-day workshop attempting to bring together all of the Emergency Food Security and Vulnerable Livelihoods (EFSVL) staff, along with key staff from the long-term Country Programme in the Philippines, to plan our strategies for the next few months, and try to integrate our emergency response work with longer term sustainable livelihoods frameworks. Sounds fascinating? It really was. 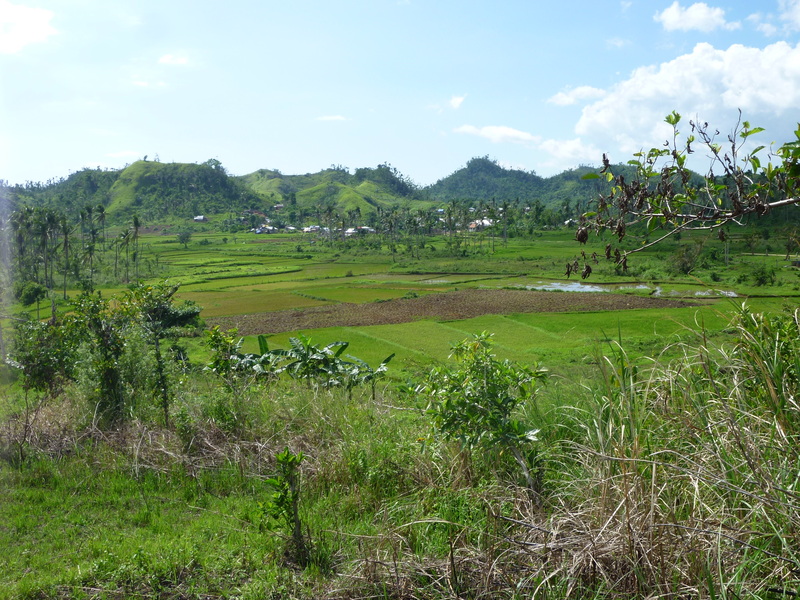 Here are some of the really interesting challenges and issues we are facing in the long-term recovery process for some key livelihoods sectors in the Philippines. 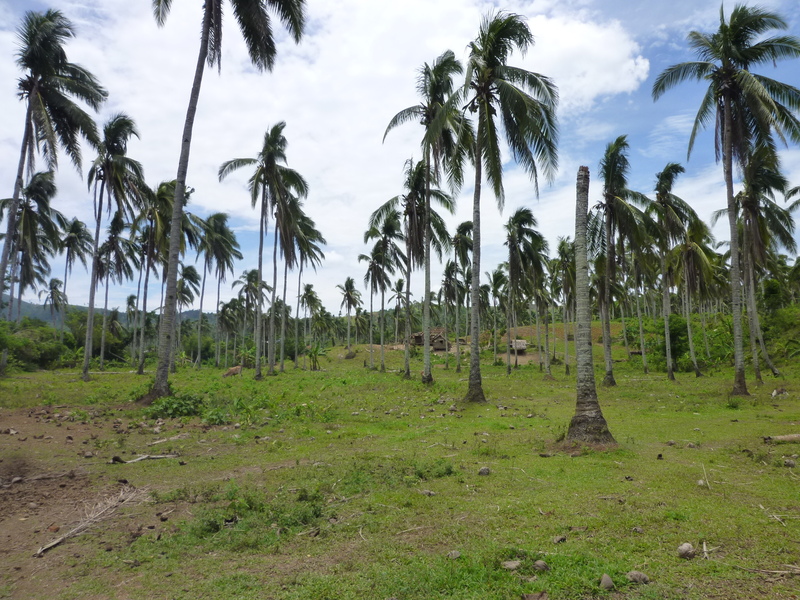 As I started writing this it got longer and longer, so I’ve split it into two separate posts about Fisheries and Coconuts – two sectors that were heavily affected by the typhoon, and face massive challenges in rehabilitation and recovery…. 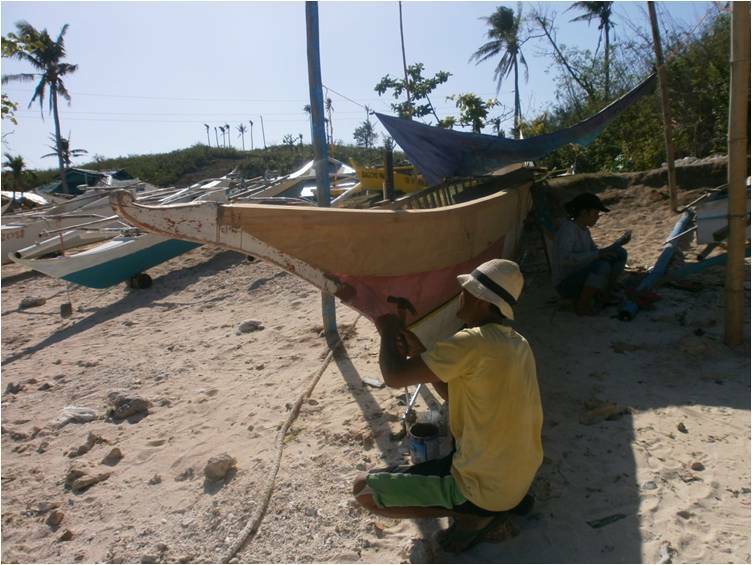 How do you support a fisherman to rebuild his livelihood, and at the same time encourage him not to fish? Over 30,000 fishing boats were damaged or destroyed by typhoon Yolanda, but even before the typhoon some areas were being heavily over-fished, and it wasn’t just boats that were destroyed. 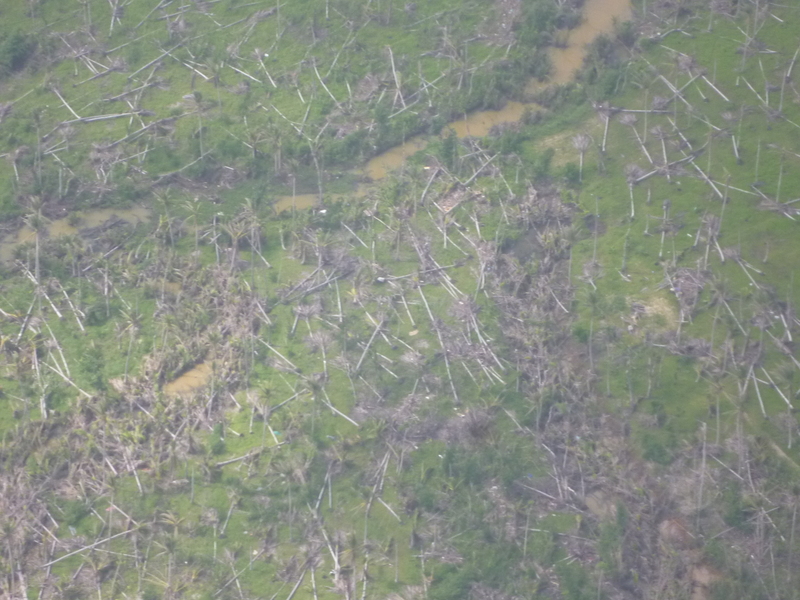 The storm caused massive damage to marine eco-systems, corals, mangroves and other fish and aquaculture breeding grounds which will need time to recover. And it turns out, fish need corals and mangroves in order to hang out, meet other like-minded fish, and have lots and lots of baby fish….